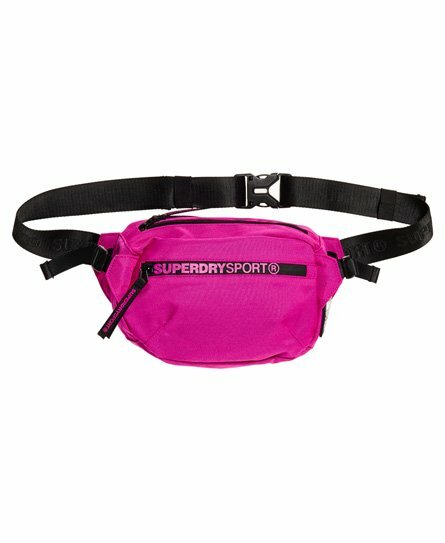 Superdry women's Sport bum bag. Ideal for your essentials whilst on a training run or in the gym, this handy bag features a snap fastening buckle with adjustable waistband, adjustable side straps, a small zipped outer compartment and a larger zipped main compartment. Inside, there is a practical zipped pocket. The Sport bum bag is finished with a Superdry Sport branded zip tape, branded zip pullers and a rubber-effect Superdry logo badge on one end.